Plastic Postcards are a great way to put your business in the lead! They offer thousands of practical and promotional applications with a huge market. 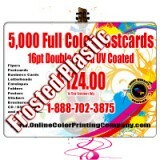 We are able to offer Plastics postcards at super affordable prices. 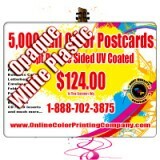 Plastic Postcards are very durable and printed on 20PT Plastic Opaque White, Frosted, and Clear stocks. With these cards, sky is the limit!